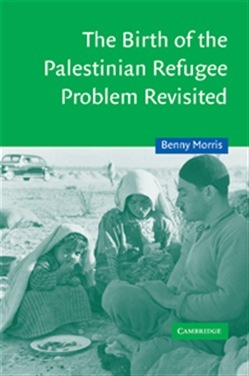 Benny Morris' The Birth of the Palestinian Refugee Problem was published in 1988. Its startling revelations about how and why 700,000 Palestinians left their homes and became refugees during the Arab-Israeli war in 1948 undermined traditional interpretations as to whether they left voluntarily or were expelled as part of a systematic plan. This book represents a revised edition of the earlier work, compiled on the basis of newly-opened Israeli military archives. While the focus remains the 1948 war and the analysis of the Palestinian exodus, the new material contains more information about what happened in Jerusalem, Jaffa and Haifa, and how events there led to the collapse of Palestinian urban society. It also sheds light on the battles and atrocities that resulted in the disintegration of rural communities. The story is a harrowing one. The refugees now number four million and their existence remains a major obstacle to peace. Acquista The Birth of the Palestinian Refugee Problem Revisited in Epub: dopo aver letto l’ebook The Birth of the Palestinian Refugee Problem Revisited di Benny Morris ti invitiamo a lasciarci una Recensione qui sotto: sarà utile agli utenti che non abbiano ancora letto questo libro e che vogliano avere delle opinioni altrui. L’opinione su di un libro è molto soggettiva e per questo leggere eventuali recensioni negative non ci dovrà frenare dall’acquisto, anzi dovrà spingerci ad acquistare il libro in fretta per poter dire la nostra ed eventualmente smentire quanto commentato da altri, contribuendo ad arricchire più possibile i commenti e dare sempre più spunti di confronto al pubblico online.